You can’t escape its grip…and when it comes, it can be terrifying. Its name is “Scope Creep.” The reality is that business requirements will change on certain projects, but it’s how we react to these changes that will determine the success of the project or whether budgets and timelines are blown out of the water. Learn how CISCO Systems, aided by learning partner, The Training Associates, used the principles of agile to design and implement a customized e-learning program for their customer relationship team that resulted in efficiency improvements, streamlined processes and accelerated product time-to-market. How to obtain buy-in for using agile methodology in your company. How applying Agile principles to e-learning can be replicated (and sold) to other functional areas. How to apply the right resource mix to achieve the desired results. Amy Davis is a leader in Cisco’s Advanced Services Global PMO, managing a global team of project and program management specialists responsible for delivering Cisco’s most complex solutions to Cisco’s global Service provider customers. These solutions allow the service provider companies to provide Wi-Fi, cellular and internet access to millions of business and residential customers using variety of the latest technologies. Since joining Cisco in 2000, Amy has held several positions in engineering, program management and leadership roles where she was responsible for bringing new concepts to reality. Talent development and mentoring play a key role in the success of the organization and are an important priority for Amy. She is an active mentor and is passionate about her role in the Cisco Women in Cybersecurity (CWICS) strategy team. 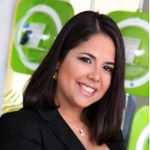 Mariam Leon is the advanced services talent manager at Cisco, the worldwide leader in IT and networking. 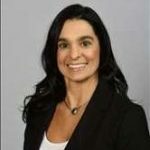 Throughout her career she has held various positions in marketing, product management and talent management at multinational companies like Verizon, Claro and now Cisco, and holds industry certifications in agile and dev-ops. She is passionate about learning and how you apply these concepts not only to software but any type of projects you deliver. 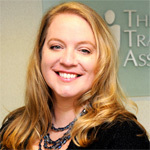 Sarah Lindberg is the director of learning and development (L&D) at The Training Associates Corporation, a recognized global leader for L&D talent and solutions. She is responsible for the facilitation of software and soft skills training, curriculum design, instructional design, e-learning development, project management, LMS management, gamification of learning experiences and scoping external client learning initiatives. Her background encompasses over 18 years working in L&D in various industries, including being national sales trainer and motivational speaker for Tony Robbins’ companies. Her experiences have driven her to learn more about the adult learner and become an expert in the field of L&D. Jasmine Martirossian is the vice president of marketing at The Training Associates, where she is responsible for all areas and aspects of marketing from strategy to implementation. Jasmine has led digital transformation for many multinational corporations, such as PTC (as senior director of global online strategy and web development) and Intertek (as global web content manager), helping recast and leverage their digital properties to help generate leads resulting in revenue growth. Her work in this area has been featured at many leading industry conferences, including Marketing Sherpa Summit and B-to-B Marketing Forum. Jasmine’s work on organizations’ online presence has consistently resulted in gaining top rankings and positioning on search engines. 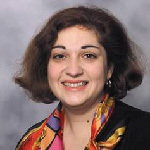 Jasmine Martirossian is a widely published author and a frequent keynote or featured speaker at conferences. Her work has been covered in publications, such as The New York Times, Chicago Tribune, and The Toronto Star. Jasmine earned both her Ph.D. in law, policy and society, and her M.A. in international relations from Northeastern University. She attended Wellesley College and Yerevan State University earning a B.A. in linguistics.